A gentle one off the bat. The Blues sub-ton streak stands at 55 games, making it one of the longest in league history. They’ve been close to triple digits a few times since scoring 104 points against the Brisbane Lions in Round 11 2016: 95 points against Richmond in Round 1 last year, 97 points against Sydney in Round 6 2017, and 95 against the Lions in Round 22 of 2016. Those scores needed just one behind to be converted into a goal to crack 100, so on that alone one may expect some luck to get them over the edge. But more significantly Carlton’s forward half has taken shape in the past off season. Charlie Curnow will no longer be dealing with quadruple teams, because Mitch McGovern must be accounted for. Alex Fasolo can be streaky, but that’s the point of his role. Harry McKay should continue to improve, and will punk his share of key defenders on account of his size this season. The Blues will get beaten up a fair bit this season. While the forward half looks promising, Carlton’s midfield profiles young and inexperienced – a fine outcome given the club’s young talent is beginning to reach critical mass. Defensively Carlton is too relying on youth plus Liam Jones and Kade Simpson; organisation will be key, which the Blues have been under Brendon Bolton. This isn’t a year of ladder-climbing for Carlton. However, it will all click for a game or two, and in at least one of those games the Blues will put 100 points on the scoreboard. Related note: this is the year this recurring prediction will come true. Since I first predicted Cripps would break the clearance record and gather over 200 of the things, he’s gathered 185 (2016), 100 (2017, 15 games) and 168 (2018). No one has done it before. With the advent of the new centre bounce rules, and his reaching the first year of his prime, this is the year. Gary Ablett Jr was the league’s last multiple Brownlow medal winner, in the 2014 season. Since then the umpires have anointed Nat Fyfe, Patrick Dangerfield, Dustin Martin and Tom Mitchell as best and fairest players. There’s an emerging trend in the Brownlow Medal, and it’s going to sound a bit hot takey but bear with me. The narrative, the yarn, the storyline, is as important as the level of play when it comes to deciding the Brownlow medal. We’re all surrounded by copious amounts of media, and umpires would seem to be affected by it. Each of Fyfe, Dangerfield, Martin and Mitchell got off to extraordinary starts in their Brownlow medal years. Each had a story of individual triumph to tell with their play. To wit: Fyfe had nearly as good a year as he did in 2015 last season, but his team stunk and he was suspended early in the year. Dangerfield’s 2017 was better than his 2016, but Martin was a free agent with multiple suitors and played for a team surging up the ladder. Mitchell carried a Hawthorn team that wasn’t supposed to make the eight to the top four, and did it while breaking all sorts of records for raw output. Narratives are difficult to pick heading into the year, but you would have to assume there will one centred on Melbourne’s rise and another on Collingwood’s contention. Josh Kelly is out of contract (for the time being) and the Giants are going to be good again. West Coast has a few midfielders that can play the way umpires like when it comes to Brownlow voting. The point is, in this column’s opinion, it is more likely than not there will be a first time Brownlow medallist in 2019. If pushed I would pick Clayton Oliver on a premiership-winning Melbourne team. Here’s another narrative that could take hold. Nat Fyfe doing 2015 Nat Fyfe things, in a team which struggles to improve its output otherwise. Fyfe has already been recognised as the best player in the league heading into the 2019 season by plenty of Top 50 lists, including The Roar’s own definitive version. The base of a compelling narrative has been set: champion player returns to his best form in 2018, has an excellent preseason (elbow bursa notwithstanding), and begins smashing planets a la the Mitchell experience from last season. 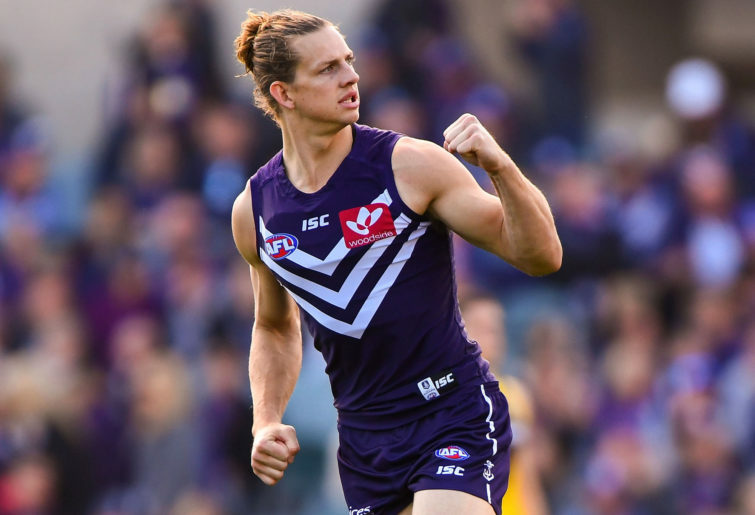 To that end, Fyfe will take 40 contested marks – which would be second only to his second season in the league (43) – and remind the naysayers he’s one of the best of this generation. The top of Collingwood’s midfield is ridiculous. That Taylor Adams (who would make the starting 18 in every team in the competition) is probably going to start on a wing, or indeed on the bench, says plenty. The Pies figure to be really good, with a chance to be great if it can get another quality year out of its tricksy forward group (now with an actual AFL forward in Jamie Elliot roaming around). It will be impossible for any one player at Collingwood to assemble enough Brownlow votes to win the thing. But someone has to win the club count, and I suspect it will be new-old recruit Dayne Beams. Beams has been doing his thing in relative obscurity at a building Brisbane Lions team; as silly as it is, that he now plays for the Pies again will mean his play is duly recognised. His arrival is timely, because Scott Pendlebury’s transition to the old folks home has begun. One assumes the captain has the skill and nous to play for as long as he wants, but his days as Collingwood’s number one midfielder are likely behind us. What a luxury for the Pies. 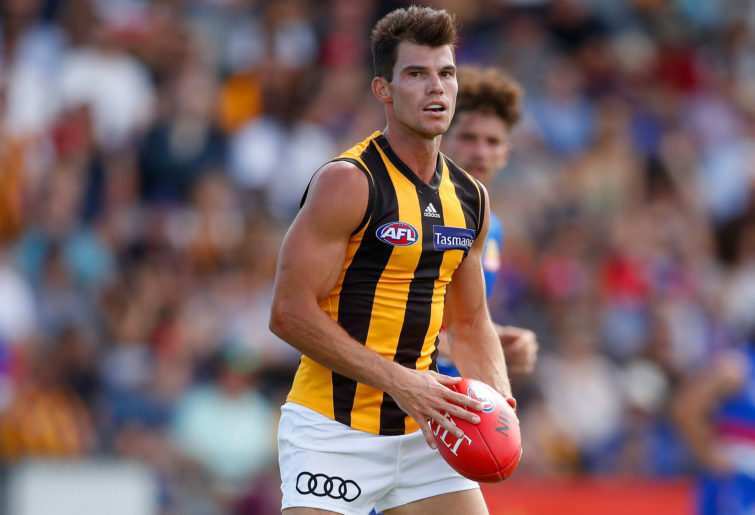 Now in his third year at the Hawks, O’Meara has been selected by two of the league’s captains as the 2019 Brownlow medallist. That is unlikely to happen, although with his knee issues seemingly behind him this is the year O’Meara fulfils his great promise to be Chris Judd 2.0. To that end, and with Mitchell on the sidelines, O’Meara will emerge as one of the quantitatively “elite” players in the competition: he’ll finish inside the top 50 on the AFL’s player ratings. That would put him in the top ten per cent at his position, which is Champion Data’s threshold to be considered “elite”. Just in case anyone thought this column would ever use the worst cliché in football. Another one tangential to the Brownlow (he’s not winning it, don’t worry, I’m not that much of a nuffy), and another prediction that will feature in this column until it comes true. Petracca has the physical attributes and kick to be a uniquely damaging forward half player. He’s just not quite put it together heading into his fifth year in the league. A surging Melbourne will make his path to becoming a value-adding player much smoother. This is the year. Related prediction: the disposal record, a plaything of the league’s accumulator class in recent years, will remain unbroken in 2019. There is a chance Brisbane’s Lachie Neale gets close, but I suspect the Lions’ penchant for kicking and fast play will crimp his raw output a little. Matt Crouch would seem to have a trio of high quality midfielders around him this season. 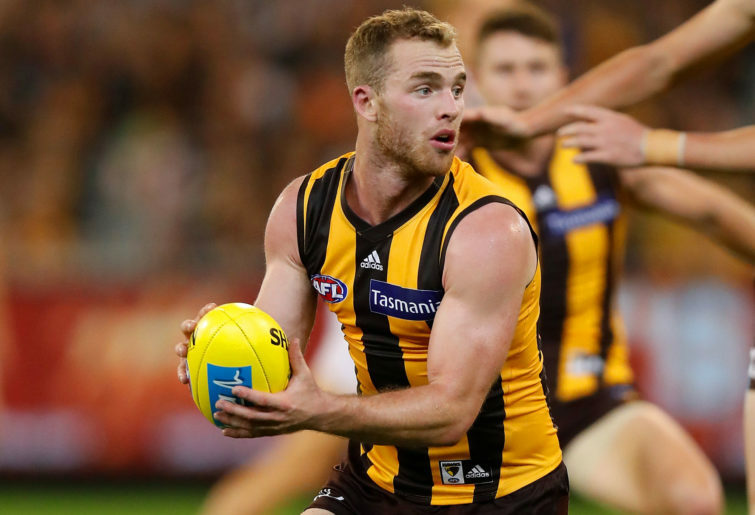 Tom Mitchell is going to miss most if not all of the season. Crouch holds the record for another year at least. It’s also unlikely we will see a material increase in the mark required to win the Coleman medal. Over the past five years, the Coleman medal has been won with 67 (2014), 75 (2015), 80 (2016), 69 (2017) and 65 (2018) goals. There’s been some talk that the league’s new rules will “bring back the bags” (that might or might not be a term I just made up), but I’m not so sure. There may be some increase in scoring, although I expect it to be modest, and mostly centred on an extra goal or two from centre bounce clearances per game. Meanwhile, teams rotated players through the goal square position at centre bounces rather than stationing a traditional full forward there full time. Indeed, outside of centre bounces, it’s not at all clear the game will look or feel that much different. One of the manifestations of that will be no material change in things like the Coleman medal chase. Sadly, I also suspect West Coast’s Josh Kennedy has won his last Coleman. Now over 30 and battling a range of lower leg challenges, we’re at a stage in the Last True Full Forward’s career where he’s simply going to miss football so he’s right for the pointy end of West Coast’s next two or so seasons. Revel in his leading craft while you can, because this column suspects once he retires we may have seen the last of his kind in the league. Help us Ben Brown, you’re our only hope. The Coleman medallist will not be a Richmond Tiger, either. Jack Riewoldt and Tom Lynch will be the most potent one-two forward combination in the league, but in terms of actual goals kicked the duo will be less than the sum of their individual parts. It’s just maths. Richmond is going to be a fascinating team this season. They were inarguably better in the 2018 home-and-away season than in their 2017 home-and-away campaign, but ran into a motivated Collingwood at the same time as playing one of their worst games of the season. There is a clear top five as far as this column is concerned: Adelaide, Collingwood, Melbourne, Richmond and West Coast. One of them has to miss the top four, and at this stage this column expects it’ll be the Tigers. It’s partly to do with Tom Lynch’s arrival, and – in the words of cliché lord Alex Rance – the potential to throw the baby out with the applecart (I think that’s what he said). 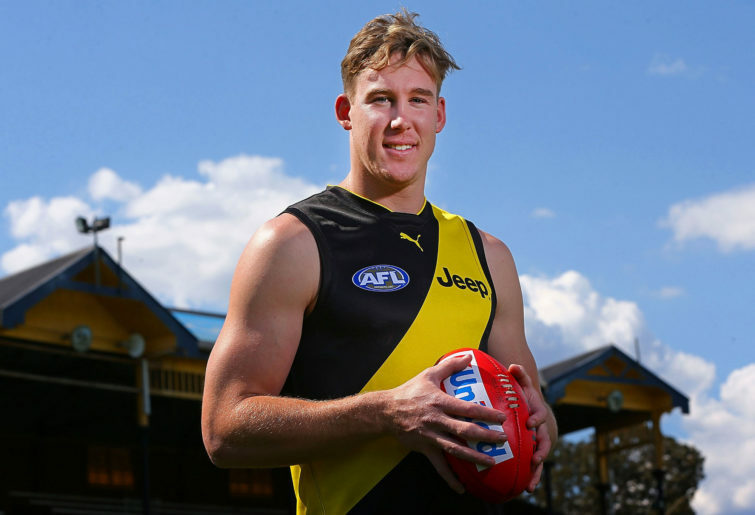 The Tigers have been a small ball team through their run, since settling on a combination of Riewoldt deep and Josh Caddy at a notional centre half forward position. Now with Lynch at centre half forward, Caddy becomes a hybrid forward or gets shunted back to the midfield, to ensure there are enough spots for the team’s fleet of pressure forwards. Richmond has been one of the muses of the rest of the league in recent times; the Tigers became the hunted instead of the hunter, once it became clear they were the alpha of the league. Injury luck has been their friend; it has a tendency to turn sharply, and just as the Tigers sold their depth to buy the cap space for Lynch. Depth doesn’t matter until it really matters. 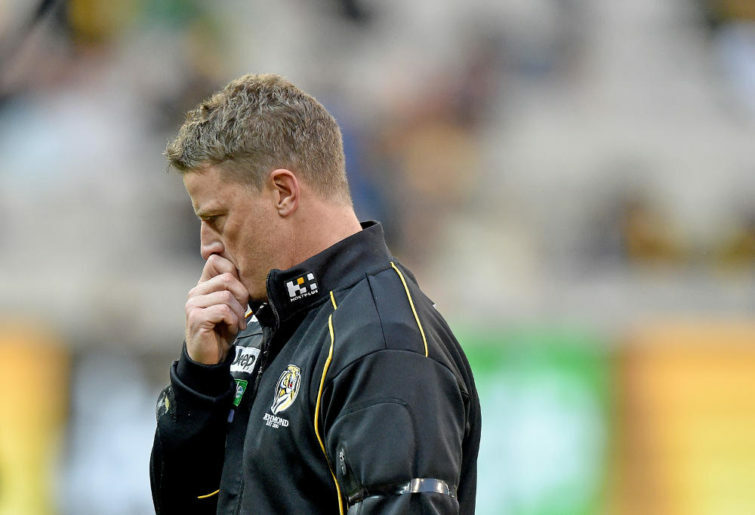 There was also a comment by coach Damien Hardwick that the Tigers were focussing more on their defence heading into 2019. That’s despite the team’s clear strength over the past 50 or so games being its ability to play the territory game and punish turnovers. Defence has been something of an afterthought, and played mostly with personnel and smart positioning. It’s really hard to stay at the top for multiple years. It’s no slight on the Tigers, who are clearly in that tier of teams who are firmly in the premiership frame. They could win 16 games, miss the top four on percentage, smack their week one opponent and we’re away. I just suspect of the teams in the hunt they have the least bankable set of circumstances heading into the 2019 season. The Eagles are set to begin their premiership defence with a completely different forward line; compared to two years ago the only survivor is Jack Darling. But it won’t matter: West Coast will be the highest scoring team in the AFL in 2019. Why them and not Melbourne? The Eagles will have one of the youngest and most skilful forward groups in the competition around Darling. The club’s midfield went to another level towards the back end of last year, and that was without Andrew Gaff (who I nudged into the top five players in the competition in my Roar Top 50 ranking). New centre bounce clearance rules are tailor made for Luke Shuey and Elliot Yeo. In saying that, there is a significant chance Melbourne’s loaded midfield, aggressive mindset and flexible front five or six scores 110 points per game. Hmmm. Let’s soften this one a bit: West Coast will finish first or second in the league in scoring. Their neighbour will not. 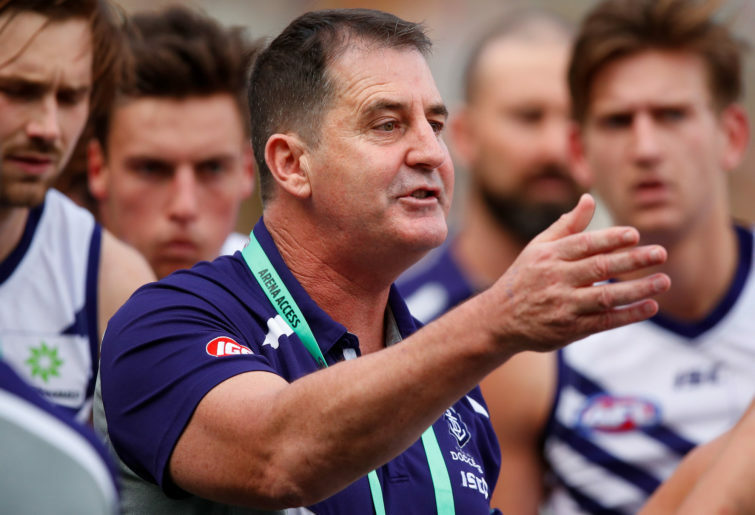 Fremantle is in a weird sort of football purgatory, existing in a constant state of flux as it seeks to build its premiership list. The pieces are there now, in this columns opinion, but can it all coalesce? Not in 2019. Jesse Hogan’s struggles are unfortunate, as are a raft of soft tissue injuries to critical players. Beyond that though Fremantle’s midfield looks a couple of players short of being competitive on a regular basis; if Andrew Brayshaw, Adam Cera, Luke Ryan, Connor Blakely and Bailey Banfield can somehow all come on another 15 or 20 per cent this year now we might be talking. The Dockers failed to turn Perth Stadium into the fortress that West Coast managed, going 6-5 in their home games (7-6 if you count the Gold Coast game and the West Coast derby, which I do not) with a net scoring margin of -1.6 points per game. Is that gameplan? A young midfield? Both of these things? With so many questions swirling around the team, there are better options out there to pick as your finals riser from outside of the eight. I suspect the Dockers win around eight games again. The manner they go about it could go to deciding one of the more significant questions facing the league heading into this season: will the era of coaching stability continue? Coaching friction has been a feature of the AFL since the turn of the century. However, a confluence of factors – which we have discussed previously – have meant the trend of head coaching changes has slowed considerably. No coach was removed from his position in 2018, which means according to my crude scan of AFL Tables this is first year we are beginning the season with a full suite of existing coaches since 2006 (no changes in 2005). This trend will reverse in 2019. A swathe of the league’s coaches are off contract inside the next two years, and many of them are shepherding teams who look unlikely to break into the top eight this season. Chief among them is St Kilda’s Alan Richardson. I’m not stating a ground breaking opinion here when I say the Saints are likely to finish outside of the eight; their list has some challenges at the top end, their injury list is already long, and last year showed either the list is not up to the game plan or the game plan is not up to scratch period. Brett Ratten is waiting in the wings, ready to become the seventh branch on the Alastair Clarkson Coaching Tree. 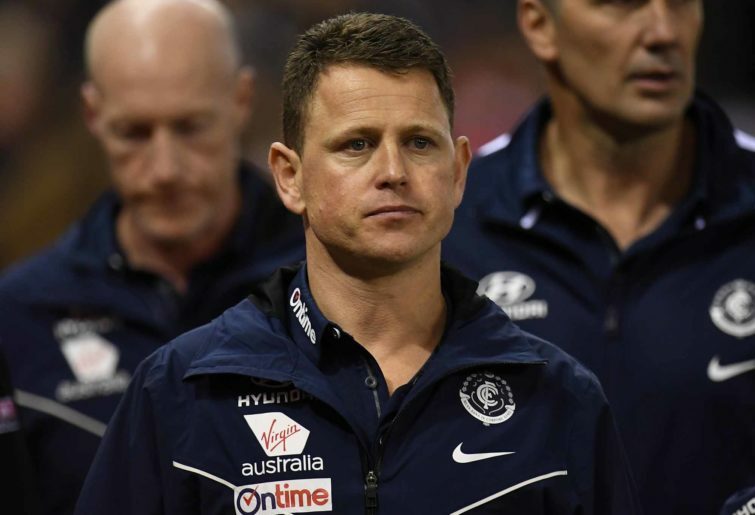 Carlton, for some reason, felt compelled to put a senior player up to the media earlier this week to state Brendon Bolton has the full support of the playing group and club at large. This column has said this before: if the Blues move on from Bolton they might as well purge themselves and have the AFL relocate the licence to Tasmania. 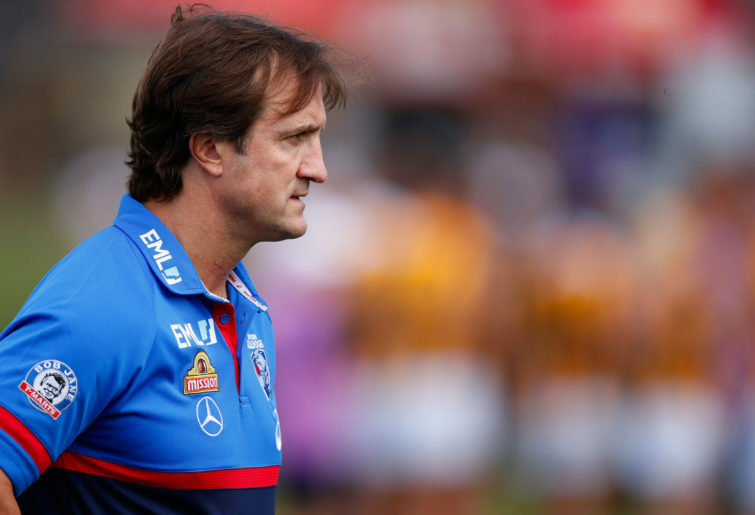 How long until the Western Bulldogs lose patience with Luke Beveridge and his science experiments? A while yet, surely, and the Dogs are young. But at some point the hypothesis testing must reach its conclusion. Port Adelaide is attempting to pull a Sydney and rebuild on the fly. The Power were stagnant and stodgy in a league where quick ball movement is emerging as the new dominant strategy. Can Ken Hinkley adapt? And then there is Fremantle, and Ross Lyon. His tenure is already a fairly common talking point among the football community out west, and like Carlton players have expressed their support for him to continue. There are enough breadcrumbs here to suggest the few years of coaching stability we have lived through are to come to an end. And depending on who is moved, the head coach carousel could begin turning rapidly. How many errors can these people make before they are held accountable for them? I suspect 2019 will be the season we find out. In keeping with my commitment to make this column more positive this season I will leave you with one additional comment: the Herald Sun’s Mark Robinson thinks the AFL CEO will move on this year. And now for a few team-based quick hits. 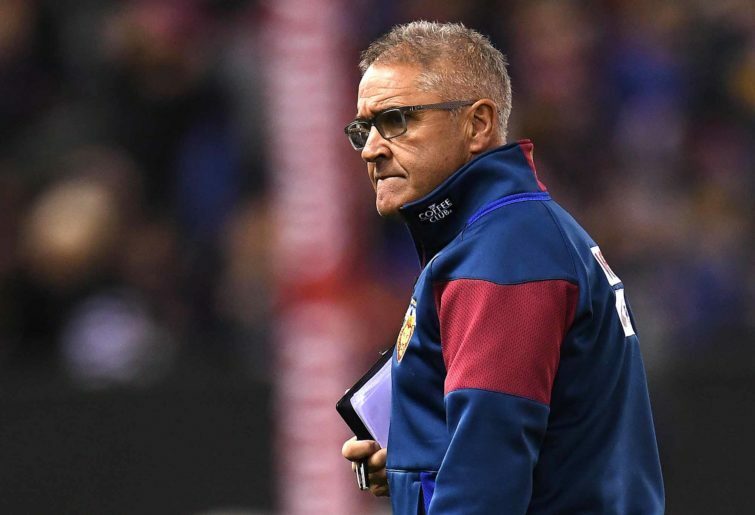 One coach who is going nowhere is Brisbane’s Chris Fagan, who figures to be in charge as the Lions begin their long-awaited climb up the ladder. This column is an unabashed big cat fan – indeed, I wrote the “Lions are going to be good” take in August last year, before Brisbane acquired Lachie Neale and Jarryd Lyons – but this fandom does not stretch to making a prediction of a huge leap by the Lions in 2019. Brisbane’s home schedule figures to be on the tougher side of neutral, with West Coast, Collingwood, Adelaide, Melbourne, and Geelong all coming to town, as well as last year’s finalists in Hawthorn and Sydney. The Lions face just two of last year’s bottom six at home: the Western Bulldogs and Gold Coast, and not until Rounds 20 and 21 respectively. This is nothing new for the Lions, who’ve had a tough slate of home opponents in recent years, but it doesn’t help the case for them to make the eight. However, if the rate of improvement is indeed significant, we will know early. We’ll see. The ‘Roos look like a perfectly mediocre team once again. That is not a slight; being good enough to not be bad means when things break right – like they almost did for North Melbourne last year – anything is possible. We know this about North because their past decade has followed this quite predictable pattern. They are set to be an interesting team, given the addition of a number of outside players (of moderate profile, let’s be real) to complement an existing core of ball-winners. They look like a 0.500 team to me: 11 wins and a percentage of around 100. The ‘Roos will take a scalp or two, and lose a game or two they shouldn’t. “This is the year the Sydney Swans have their once a decade season outside of the top eight”. This column featured a sentiment to that effect last year, and the year before, and even possibly the year before that. And it features it again. The Swans have been chasing their tails for the best part of two years, since their 0-6 start in 2017. It came to a head at the end of last season, as a broken down Sydney was put to the sword by their cross-town rivals in an elimination final. Their veterans are another year older, and their kids are growing more numerous by the season. Lance Franklin has had an injury-interrupted pre-season, after an injury-plagued 2018. Expect his condition to be treated cautiously as the Swans try to milk the last bits of hall of fame football out of him over the next three seasons. That’s what it’s all about for the Swans: a three-year horizon, where its veteran midfield can steward the next generation, and Buddy can still kick goals from outside 50. 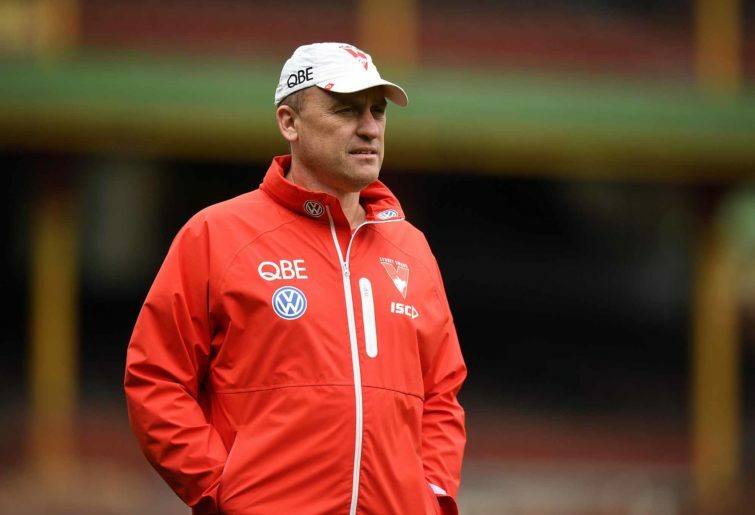 Making the eight, challenging for the four, and winning a premiership are not the primary goals for the Sydney Swans in 2019. They may well make it because like the ‘Roos that’s just what Sydney does. But we should not be surprised if they spend a year on the outside of September action looking in. Gold Coast is starting again, without the globs of draft capital the league and the clubs afforded them at the start of the decade. They will be mediocre to terrible. They will struggle to improve their win total. But, the Suns won’t be so terrible that they’re blown off the park week in, week out. For all of their weaknesses the Suns have one strength: they are now chock full of honest, mature footballers, many of whom are playing without a guarantee this is not their one shot at being a professional footballer. This will manifest in a modest win total but a decent percentage. I see few ten goal losses in their future. And here we go. This column has already covered its feelings towards the Dees, and nothing that happened in the preseason has changed its mind. 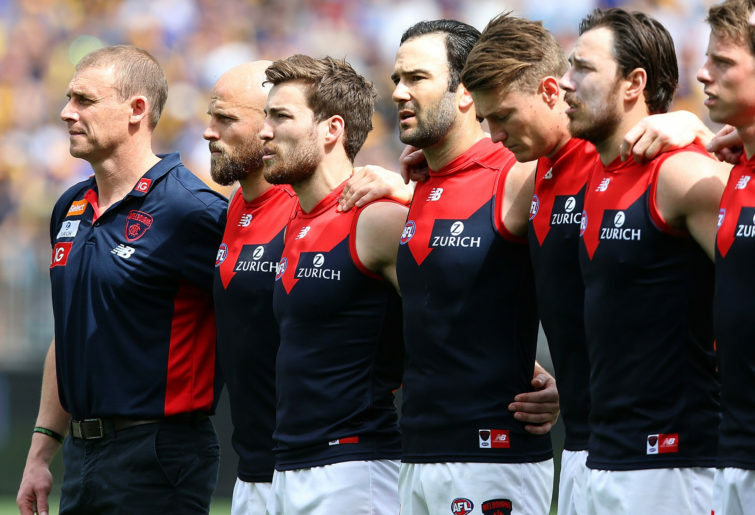 Melbourne will start the year with a couple of its key pieces on the sidelines, but it won’t matter given the strength of its midfield, and the aggressiveness of coach Simon Goodwin and his crew’s strategies. This will manifest in Melbourne finishing on top of the ladder, and winning at least 17 of its 22 games. It’s a bold call, yes, though one befitting the ceiling of this team. In alphabetical order, the bottom six for 2019 will be Carlton (Ground Zero year), St Kilda (already a bit bland, and now ravaged by injury), Gold Coast (what’s below Ground Zero? ), Fremantle (see above), the Western Bulldogs (Aaron Naughton as a forward in the context of the Dogs list says everything – though there is a decent chance it all comes together for the Dogs quickly) and a team that craters – because there is always one (prime candidates: Hawthorn, Port Adelaide, Sydney, North Melbourne). And with that, here are the final predictions. Remember: this is not a ladder prediction, it is a tier prediction. This year, there are four tiers: the finalists, the finals challengers, the question marks, and the dregs. Before anyone reads anything into the order within these tiers: they are in alphabetical order. Given what you’ve ideally read above, you may have figured out who I’m picking for the eight, the four, and the premiership. And with that, let the season begin.